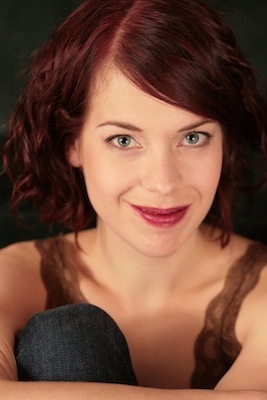 Sarah Joy Bennett is a Toronto actor and burlesque performer. Her stage credits include “The Voice of the Turtle” (Classic Theatre Festival), “Scapin”, “Il Campiello” (Odyssey Theatre), “The Lion the Witch and the Wardrobe” (Brookstone Theatre), “Fool’s Gold” (Metphysical Theatre) as well as co-creating “The Tragic Ballad of One-Eyed Jack” mounted at Buddies in Bad Times. Film credits include “High School Musical: Sharpay’s Fabulous Adventure”, “Out with Dad” and “Concrete”. As a burlesque performer she has been featured in several international burlesque festivals and had a three week run in Paris’s “Le Tambour Royal”.